Singapore Airlines, SilkAir and Fiji Airways have announced the signing of a codeshare agreement that will provide more convenient connections for customers travelling to Fiji from 10 destinations in Asia and Europe through the Singapore hub. Under the agreement, Singapore Airlines and SilkAir customers can access Fiji Airways’ nonstop flights between Singapore and Nadi, including the airline’s third weekly seasonal service that was launched on April 4, 2018. Customers can also travel on codeshare flights between Nadi and three domestic destinations, including the Fijian capital Suva, Labasa, and Savusavu. In turn, Fiji Airways customers will be able to access Singapore Airlines and SilkAir-operated flights to destinations in, China, Germany, Japan, South Korea, Thailand and the United Kingdom. The codeshare flights are subject to regulatory approvals. 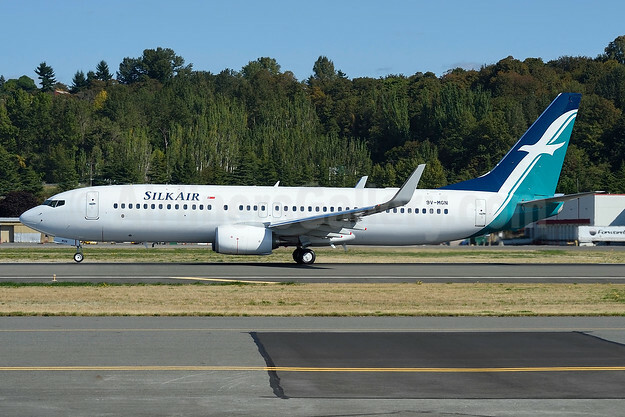 Top Copyright Photo: SilkAir Boeing 737-8SA WL 9V-MGN (msn 44230) BFI (Steve Bailey). Image: 929664. 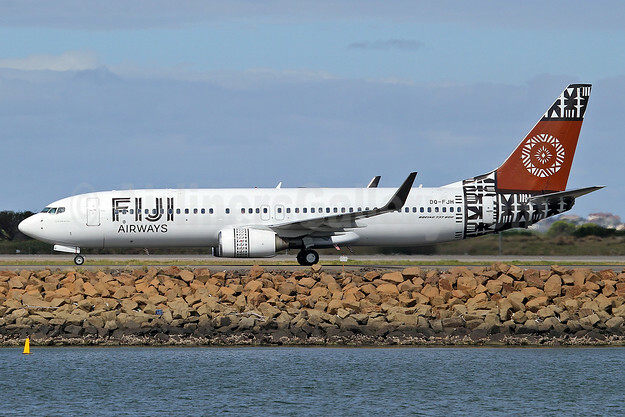 Bottom Copyright Photo: Fiji Airways (2nd) Boeing 737-8X2 WL DQ-FJH (msn 29969) SYD (Keith Burton). Image: 926459. This entry was posted in Fiji Airways, SilkAir, Singapore Airlines and tagged 9V-MGN, Boeing 737-8SA WL, Boeing 737-8X2 WL, DQ-FJH, Fiji Airways 2nd, msn 29969, msn 44230, SilkAir, Singapore Airlines on April 18, 2018 by Bruce Drum. SilkAir, the regional wing of Singapore Airlines (SIA), will be transferring its services to Langkawi in Malaysia, Pekanbaru in Indonesia and Kalibo in the Philippines to Scoot, the low-cost subsidiary of SIA. SilkAir’s last Langkawi, Pekanbaru and Kalibo services are scheduled for April 8, May 30 and June 28, 2018 respectively. Currently, SilkAir flies three times weekly to each destination. The transfer of the three services to Scoot will optimize aircraft utilization within the SIA Group, at the same time better matching travel demand. 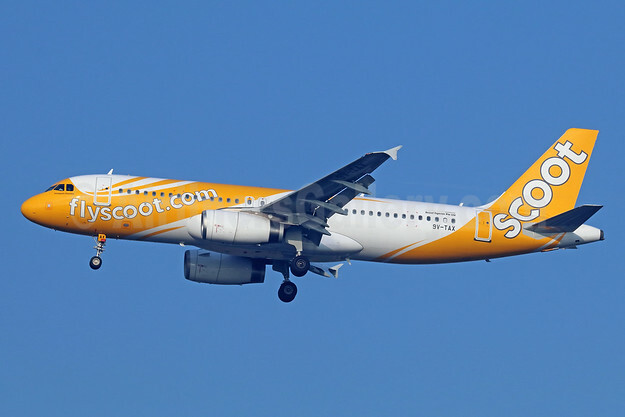 Scoot already operates three and four weekly services to Langkawi and Kalibo respectively, while Pekanbaru will be a new addition to the network. With the transfers, Scoot will progressively adjust its services to Langkawi and Kalibo in the coming months to provide more options and convenience to customers. Scoot also targets to commence sales for Pekanbaru in the first half of 2018, subject to final regulatory approval. With the addition of Pekanbaru, as well as Kuantan and Berlin which will be launched in February and June 2018 respectively, Scoot’s network will span 66 cities across 18 countries and territories. Specifically in Indonesia, Scoot’s destination count will rise to five; the existing destinations being Denpasar (Bali), Jakarta, Surabaya and Palembang. Below Copyright Photo: Scoot-flyscoot.com (Singapore Airlines) Airbus A320-232 9V-TAX (msn 4812) BKK (Michael B. Ing). Image: 940559. This entry was posted in Scoot, SilkAir and tagged 9V-MGN, 9V-TAX, Airbus A320-232, Boeing 737-8SA WL, msn 44230, msn 4812, Scoot, Scoot-flyscoot.com (Singapore Airlines), SilkAir on February 2, 2018 by Bruce Drum.